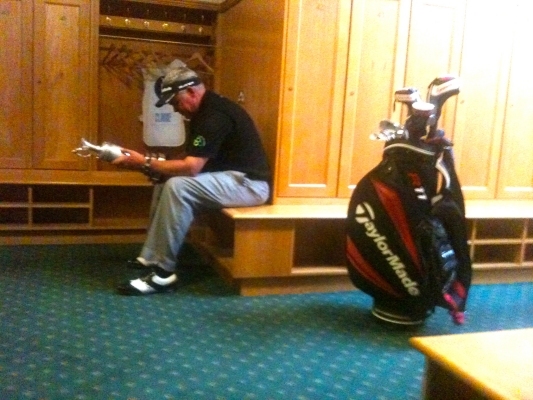 Darren Clarke, shortly after his British Open victory. He can’t believe that he already won the British open. Congrats sir! This is a great photo, you can’t even see his face but you can just tell he has a look of disbelief. Great win. What a photo. That goes straight to the pool room. Amazing photo. Congratulations to him. Well deserved, shame Phil didn’t make it a play off but really exciting to watch. Now I can’t wait to watch the President’s Cup in November.